The essential first step to all microcurrent treatments. Gel Primer 24K Gold Complex - Firm is a lightweight, leave-on formula designed to deliver the optimal facial-lift. 24K Gold Complex provides anti-aging benefits of Hyaluronic Acid, peptides, Gold and algae extracts. Firming ingredients, DMAE and Alpha Lipoic Acid, help tighten and tone for younger-looking skin. Gel Primer ensures maximum microcurrent conductivity and allows your device to easily glide across the skin for optimum results. Gel Primer is paraben-free, oil-free & fragrance-free. The built-in brush is great for optimal mess-free application. Brush directly onto clean, dry skin. 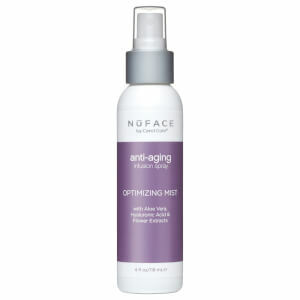 Reapply or reactivate with Optimizing Mist if gel begins to dry during treatment. Leave primer on for additional benefits. Water/Aqua, Propanediol, Gold, Hydrolyzed Hyaluronic Acid, Algae, Palmitoyl Tripeptide-1, Palmitoyl Tetrapeptide-7, sh-Oligopeptide-1, Dimethyl MEA (DMAE), Thioctic Acid (Alpha Lipoic Acid), Vigna Aconitifolia Seed Extract, Phenoxyethanol, Carbomer, Sodium Hydroxide, Hydroxyethylcellulose, Magnesium Sulfate, Caprylyl Glycol, Ethylhexylglycerin, Glycerin, Butylene Glycol, Maltodextrin, Polysorbate 20, Sodium Chloride, Trehalose. 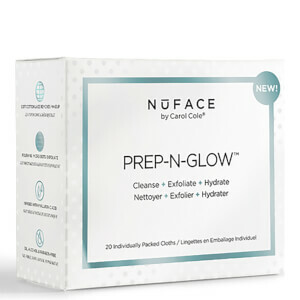 One of the reasons I stopped using my NuFace machine was how messy it was to apply the gel. 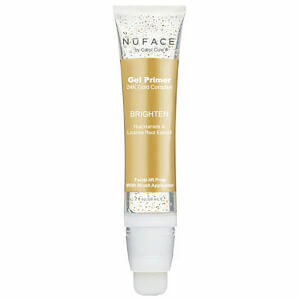 NuFACE Gel Primer 24K Gold Complex - Firm eliminates that issue with its ingenuous brush applicator tip. I appreciate that it the original base product was updated to reflect aging skin types. I am back to using my machine daily and am about to order another tube of this primer.